If you are one of those who do not get satisfied with small screens when it comes to watching movies or presenting a PowerPoint presentation, you would love to have a projector for your home, business or others! Unlike the old days, when those heavy and hard-to-handle projectors ruled, they have become very portable that you can just carry as to give you maximum usability. Of course, there are different kinds of projectors that suit different purpose — you may choose one for watching movies whereas another one would be optimal for slideshow presentations and all. It does not matter what actually your purpose is, but it’s all about choosing the best! 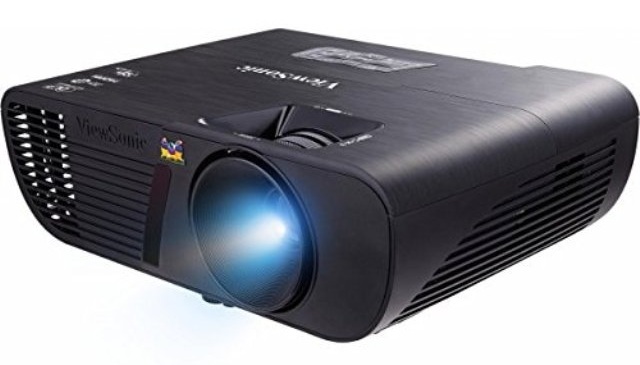 In this post, we’ll have a list of 10 best projectors that you may consider when you want to buy projector for your business, educational institution or home purposes. ViewSonic PJD5143 from ViewSonic is a best-seller when it comes to the industry of projectors! It can be used for an extreme variety of purposes, considering its 3000 Lumens screen that is bright enough to suit your purposes. You will be able to input display using basic video input, DynamicECO and HDMI and with HDMI, you can have support for 3D content; if you have a 3D Blu-ray player with you, ViewSonic PJD5143 will do the job. When compared to the usually-seen projectors, ViewSonic PJD5143 is portable and thus suitable for educational and corporate purposes. Plus, it has to be noted that ViewSonic PJD5143 is totally lightweight and you can possibly mount it almost everywhere. If we’re to consider all these and you are sure that you need a DLP-powered projector than LCD one, ViewSonic PJD5143 is a nice choice, we bet. When you need a projector that has advanced features, for your business or home, Optoma HD141X is a good choice that you may consider. With a brightness of 3000 Lumens, you will be able to use Optoma HD141X for a wide variety of purposes including slideshow presentation or movie screening; the second one needs enhanced output. It has to be noted that Optoma HD141X comes with two HDMI Ports and one of them can be used for MHL connectivity. This DLP projector gives you impressive 3D output and the presence of DynamicBlack and BrilliantColor technologies are worth praising. Thus, if you have HDMI connectivity in your device, Optoma HD141X will be just awesome, and there is one VESA 3D Sync port that lets you integrate your 3D Player or Play Station to the projector. Altogether, it’s a worth-noting one. If you are looking for an even brighter projector that can deliver top-notch performance when it comes to projecting movies or stunning visual content, you should definitely check out ViewSonic PJD5155. This DLP-based Projector has a brightness of 3200 Lumens, making almost every kind of visual just superb. It’s actually an upgraded version of the projector we mentioned first but what you pay gives you much, we believe. ViewSonic PJD5155 does come with the SuperColor Technology that works just awesome when combined with the 15000:1 contrast ratio. Also, it does have support for Blu-ray 3D Players and the HDMI connectivity ensures stability and performance. Talking of the usability, ViewSonic PJD5155 has different modes to choose from and each of them meets different situations. DynamicECO is also there, by the way, helping you save energy when you need complete brightness resources to be used. 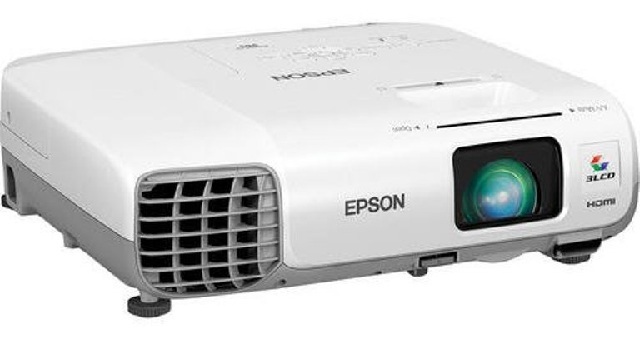 One of the popular brands when it comes to projectors, Epson VS230 has all the features to be a adequate projector for a variety of tasks; be it slideshow presentations or movies. Epson claims that the company can offer 3X brighter images when compared to other brands out there, even when the brightness level may be low in terms of Lumens. It thus makes sense to choose the 3LCD-based projector that offers brightness level of 2800 Lumens. SVGA Resolution ensures that Epson VS230 performs best during presentations and there is an XGA version available. Considering the mentioned features as well as the HDMI connectivity, Epson VS230 is a great deal that you should not miss. So, if you are looking for a useful projector with sufficient connectivity features, you should check this out. If you are looking for a projector that gives you sharpest, full-HD images that make no compromise on quality, it’s an awesome decision to go for Optoma HD26, which is an MHL-enabled and HDMI-based projector. Considering level of brightness the projector offers — 3200 Lumens —, Optoma HD26 can give you maximum output in the long run with superb colour reproduction and faster video processing. Talking of technology aspect, Optoma HD26 offers support for Full 3D Playback, DynamicBlack technology that optimizes contrast ratio for maximum output, MHL that enables you to share display of your Smartphone or other supported devices, and BrilliantColor. 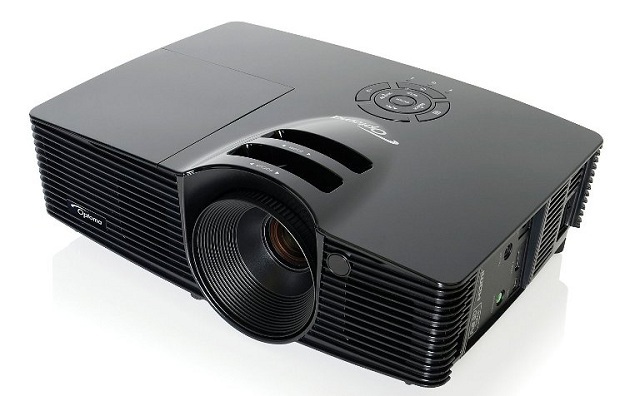 In terms of connectivity, this DLP-based projector boasts two HDMI ports and a 3D VESA Sync port; while the former supports various devices, the latter is for 3D Players. And, yes, it’s a bit expensive. Unlike aforementioned projectors in the list, Epson 5030UB is a dedicated Home Theatre projector that is expensive, feature-rich and optimized to give you maximum performance. It does not matter whether the movie is 3D or 2D, it will be possible for you to get best output from Epson 5030UB, given the 2400 Lumens bright display and its contrast ratio of 60000:1. THX Display Certification, as you might know, is a standard that ensures quality of the projector, by the way. Talking of connectivity, this dedicated Home Theatre projector has HDMI Connectivity and it will be best if you want to project display from a Blu-ray player or some other kinds of devices out there. Given the level of quality and performance aspects, there’s no wonder why Epson 5030UB is one of the most expensive projectors in the list. You have seen many heavy-duty projectors that are somewhat static in action! 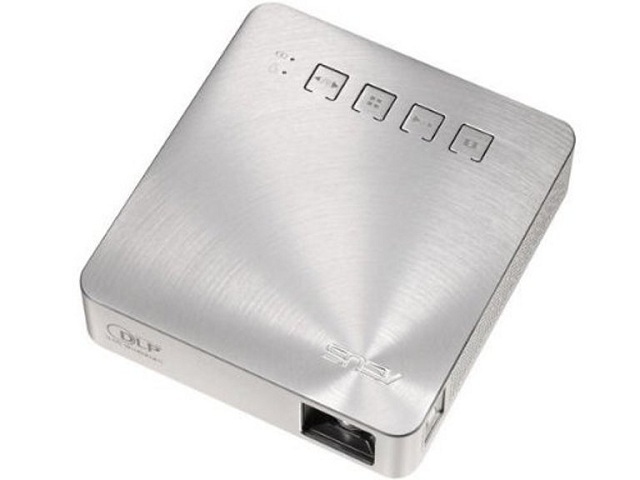 However, if you are in search of one projector that offers features of portability — given that you don’t want such brighter image output —, you need to have a look on ASUS S1 LED Projector, which is a kind of pocket projector with rechargeable battery and easier ways to connect. ASUS S1 LED Projector is based on DLP Technology and it can conveniently be used in different types of instances; let that be your home, business or educational institutions. It offers connectivity using HDMI port, which is supporting MHL as well. And, it seems, the in-built sound reproduction system is impressive that you necessarily do not need a third-party one. That’s all about ASUS S1 LED Projector and it’s cheaper too. Celluon PicoPro is yet another portability-oriented projector that does not actually compromise when it comes to its technology aspects. The Laser-based projector is so portable that you can hold it in your hand and the resolution will be 1920*720, which is indeed impressive. There are different ways to connect Celluon PicoPro with the source such as the HDMI-based one and the wireless variant, and both will be useful in various instances. It has to be noted that Celluon PicoPro comes with a MHL Cable and Holding Mounting in the package so that you won’t have any trouble in connecting or placing the projector. Simply put, Celluon PicoPro is a BIG CINEMA in your pocket. Talking of battery of the device, it will be enough for 3+ Hours of HDMI-based playback and quite notably, there are no focus settings to take care of. 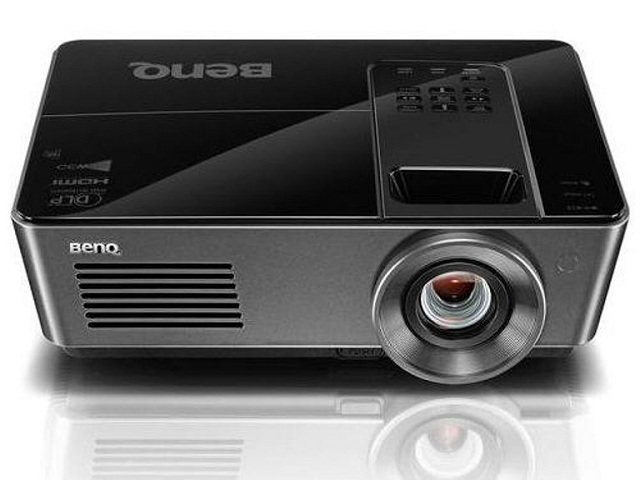 If your requirement is a full HD 3D projector that can conveniently be used for educational and business purposes; as for example, when you want to give your students an awesome learning experience, BenQ MH740 is a worth-noting option. With a lower level of power consumption and other usability-oriented features, BenQ MH740 is a nice choice for education-oriented instances. Apart from the education-sector-oriented features, BenQ MH740 has some others too like the 1.5x Big Zoom and LAN Control that make sense in the long run. Altogether, BenQ MH740 is a good-to-go choice when you need something more than a typical projector — with impressive performance level. 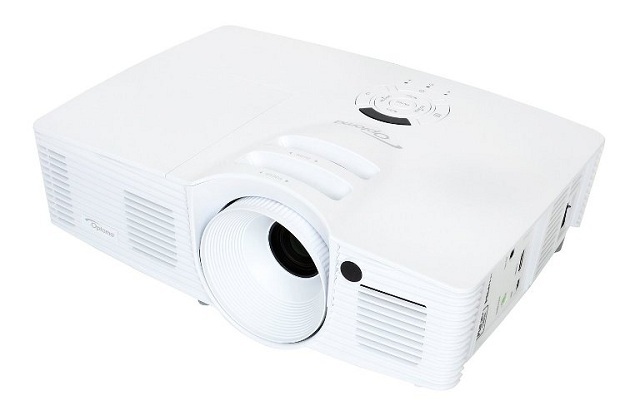 You might be looking for a Home Theatre projector that does not make your life full of hassle! On the other hand, will not that be awesome if you can simply place the projector — without consuming that much space — and control the device wirelessly? 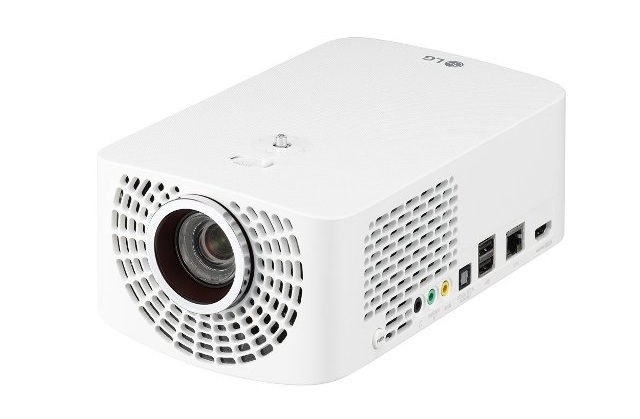 If there’s an affirmative, you should check out LG PF1500 Home Theatre Projector, which is a truly portable LED Projector with full-HD support and brightness level of 1400 Lumens. It has multiple connectivity options such as Bluetooth-sync output, easier installation of the device and predominantly a damn convenient design. If we are to consider all these, LG PF1500 Home Theatre Projector is the best projector you can get for your home, given your love for portability. Do you use any of the projectors at home or business? If yes, tell us about your favorite one!